Hi there! My name's Andrei Dzimchuk, I'm a software architect at ScienceSoft. I'm obsessed with building high quality software, teaching and inspiring my peers and exploring new technologies and practices that empower us to take on new opportunities and deliver solutions that improve lives of everyone. These days I'm mostly focused on Microsoft Azure and .NET. I actively share my experience and knowledge on my blog and at various local events as a speaker. I started programming back in the early 90’s. By that time I had a Sinclair ZX Spectrum computer that my dad constructed and I started to play around with Z80 assembly language until I mastered it to a degree that I wrote a file manager that was communicating directly to the disk controller bypassing TR-DOS. I was like 13 year old kid then and early computer addiction is one of the reasons I wear glasses today (Speccy was plugged into a regular TV set, I got my first EGA monitor a bit later). Still, I don't regret a thing. Later on in the beginning of 2002 I was learning C++ on a regular PC with Microsoft Windows and Visual Studio 6 on board. After a couple of years I was able to write things like multithreaded TCP server that was using completion ports, fat MFC clients that were rendering custom controls and communicating to databases using ODBC and ADO. In that period I wrote the first version of my Power Video Player and learned a bit of DirectShow. In 2004 I got interested in .NET. I learned Windows Forms, Remoting, ADO.NET, COM Interop. This is when I started doing some web development. 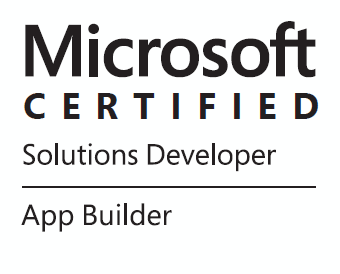 I got my first MCPD ASP.NET certification in 2008 and today keep passionately learning new stuff. At the same time in 2004 I joined ScienceSoft and got involved in the Consul Insight project where we were developing a rather huge multi-platform security monitoring system. This allowed me to get good knowledge of Java and web technologies and have a sneak glance at exotic OS 390/400 systems. Consul was acquired by IBM in 2007 and I had a great chance to embrace IBM stack and Rational tools. The project was renamed to TSIEM and we migrated it onto WebSphere, DB2, Linux and AIX. 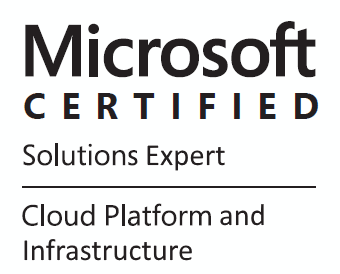 Today I'm a member of ScienceSoft's Microsoft technologies department where I help envision, design, build and deliver great solutions in automotive, retail and other industries. Experimental Tools which is a free extension for Visual Studio that gives you a bunch of code refactorings and useful tools which improve your C# development experience. Power Video Player - a slim and feature-rich video/dvd player written in C# and WPF. Ghost Azure Blob Storage - a Ghost 0.10+ image storage adapter for Azure Blob Storage. A bunch of demo apps that accompany posts on this blog.